JFC INDUSTRIES – Leave the Heavy Lifting to Us! 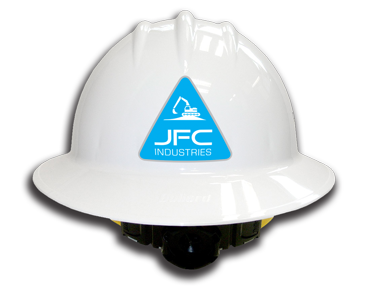 JFC Industries, LLC offers service with integrity and safety forefront on all rail, demolition, decommissioning, mine and environmental projects. We offer 30 plus years combined experience with certified MSHA and OSHA personnel The JFC culture promotes a safety first attitude. On job sites our technicians are prepared, aware, equipped and committed to safe practices. We are Woman Owned and Historically Underutilized Business (HUB) Certified. The secret to our success is the expertise of our people and our commitment to unrivaled service. We hire the best people for the job, equip them with what they need, and empower them to do whatever it takes to get the job done right - including making decisions on the spot to create immediate value for our partners. JFC Industries is FRA, OSHA and MSHA trained and certified. will contact you in 24 hours or less. JFC Industries, LLC offers service with integrity and safety forefront on all rail, demolition, decommissioning, mine and environmental projects. ©2016-2017 JFC INDUSTRIES, INC | All Rights Reserved.